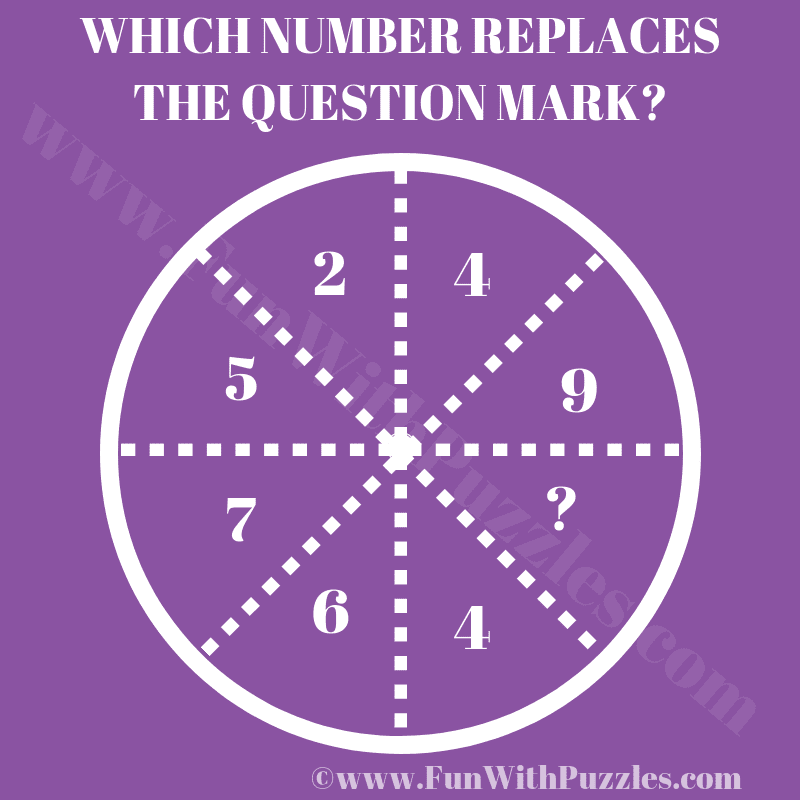 This is a Circle #puzzle in which one has to find the missing number which will replace the question mark. In this puzzle, there are some numbers in the Circle. These numbers share some logical or mathematical relationship with each other. Can you decode the hidden relationship and find the missing number? 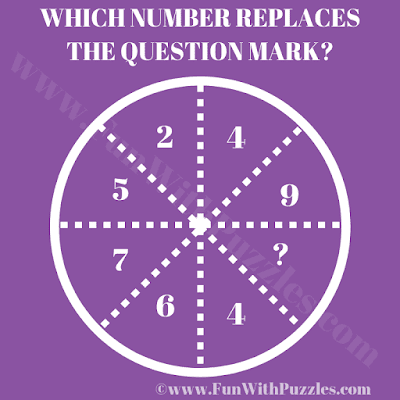 Answer of this "Circle Puzzle Missing Number", can be viewed by clicking on the answer button. The number in one segment is the unit's place of the square of the number in the opposite segment.